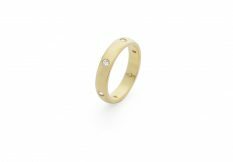 The dramatic Flare ring is a bold and assertive take on the traditional engagement or cocktail ring. 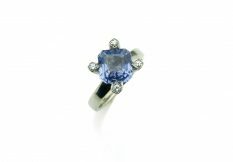 Four diamond set claw tips emphasize the colour of the principle stone, revealing it's full shape with just four points of contact. 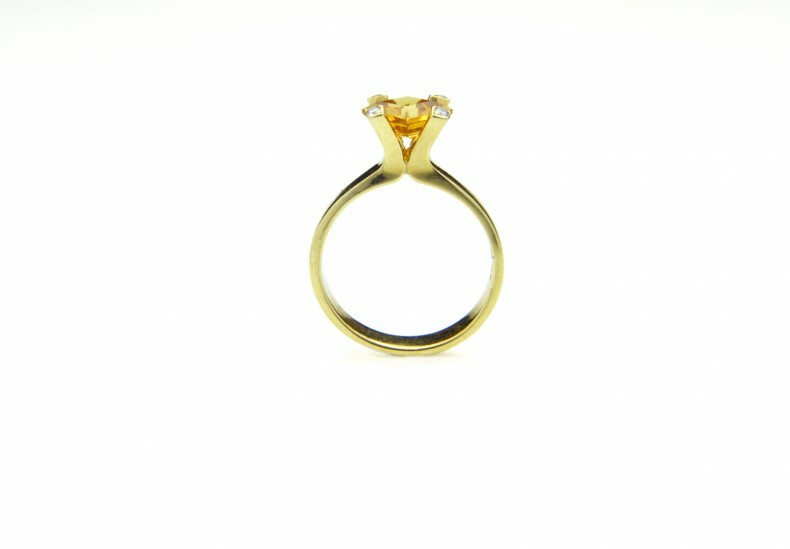 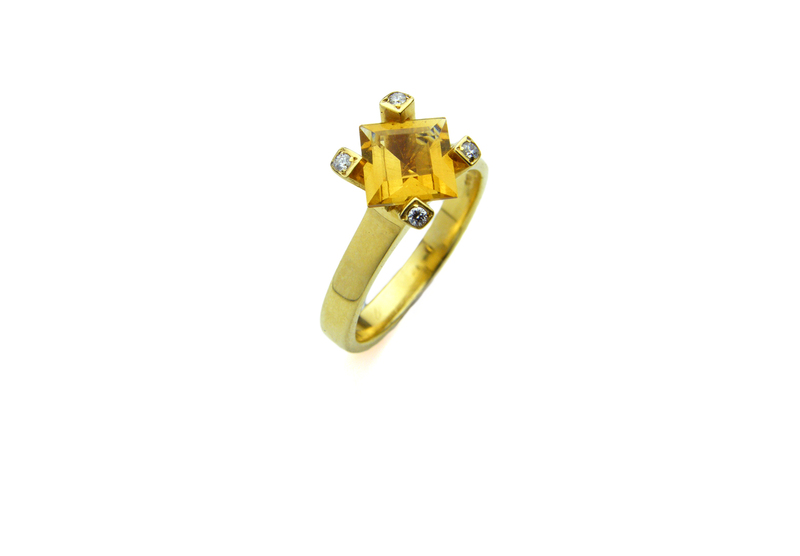 Shown here: 18ct yellow gold, diamond and citrine.